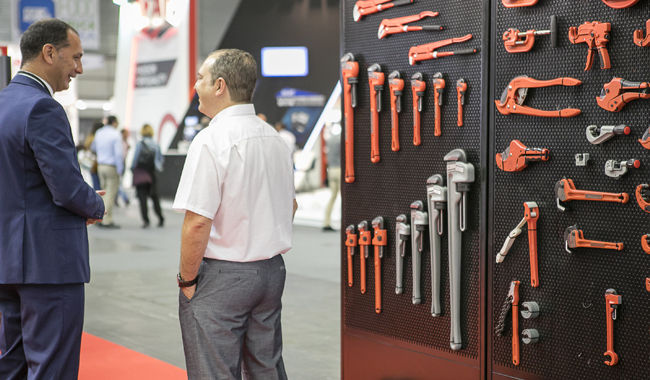 German firms, manufacturers of hand tools, will participate in Industry Tools by Ferroforma next June, at a joint stand under the umbrella of the German hand tooling association FWI-Fachverband Werkzeugindustrie. The group of exhibitors will include Witte Tools, from the Kirchhoff Group, leader in the high-end hand tooling segment, distributing sets of screwdrivers and pliers, tips and kits worldwide; Kukko, devoted to the development and manufacture of extraction tools for dismantling without destroying cogs, bearings, ball bearings and components; Bohle, leading worldwide designer, manufacturer and supplier of hinges for glass, sliding door applications, tools, machines and consumables for the processing and finishing of glass; Orbiswill, specialist in bolt cutters and pliers; Testboy, with measurement instruments; and Jokari, cutting tool and cable stripping firm. The design of the stand will give priority to the meeting area inside and will offer an exterior ring with live demonstrations to test the functions of the products. “The tools can be touched as it is very important to check their usability and applications first hand. But there is also an emotional component in the purchasing process that we need to pay attention to”, assured Frank J. Goebbels, International Sales Director at Jokari, cable cutter patented by them whereby the brand name is generally used to refer to this product. The family-run German company, now in the hands of the third generation, is the leader in Europe with an export rate of 40%, selling mainly to OEM (Original Equipment Manufacturers). It is extremely interested in entering the South American market. Entry to different countries in the southern subcontinent is one of the reasons for German companies to participate in Industry Tools by Ferroforma, whose volume of Latin American visitors is high. Furthermore, the possibility of taking part in the B2B meetings with potential purchasers and distributors increases the event’s attractiveness. In 2017, 438 meetings were held. Finally, Industry Tools will be held within the framework of +Industry from 4th to 6th June at the Bilbao Exhibition Centre, gathering seven industrial trade shows: Industry Tools by Ferroforma, Subcontracting, Addit3D, BeDigital, Pumps&Valves, Maintenance and Fitmaq, forming the largest international meeting point for industrial manufacturing processes and supplies in Spain.